First granted in 1771 as Maynesborough, after Sir William Mayne, an associate of Governor John Wentworth in the West Indies trade. The area was not settled by the original grantees, and the town was renamed Berlin in 1829 by new settlers from Berlin, Massachusetts. Berlin was incorporated as a city in 1897. Berlin is the northernmost city in the state, and includes the village of Cascade. Known as the “City that trees built,” Berlin is at the heart of the Great North Woods. 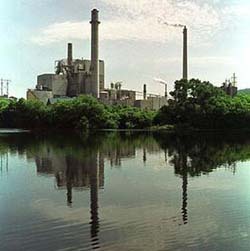 It sits at the confluence of the Androscoggin and Dead Rivers. Berlin was an early logging center and later boomed as a mill town. At one time, two-thirds of the chloroform used in the U.S. was manufactured in Berlin. The Hansen Ski Club of Berlin is reported to be the first ski club in America. Earl Silas Tupper, the inventor of Tupperware, was born on a farm in Berlin in 1907. A popular attraction here is the Northern Forest Heritage Park located at 961 Main Street. Youll find an interactive museum with information information about the logging history of the region. Boat tours are available of the Androscoggin River during summer months. A NH Scenic Byway has recognized Cates Hill Road in Berlin for its scenic views of the mountains surrounding the city. 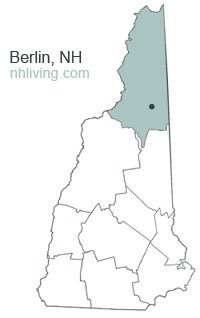 Berlin, NH is home of the Berlin Fish Hatchery and the White Mountains Communtiy College. To share any Berlin, NH information with us, please contact us. Learn more about advertising in NHLiving.